The prototype of the Cessna 188 Ag Wagon was first flown on 19 February 1965. Produced by the Cessna Commercial Division at the Wichita Pawnee Plant production deliveries started mid-1966. The Model 188 employs a number of components based broadly on those of the Model 180 cabin monoplane. In 1985, production of Model 188 was suspended when Cessna ceased all light aircraft production. 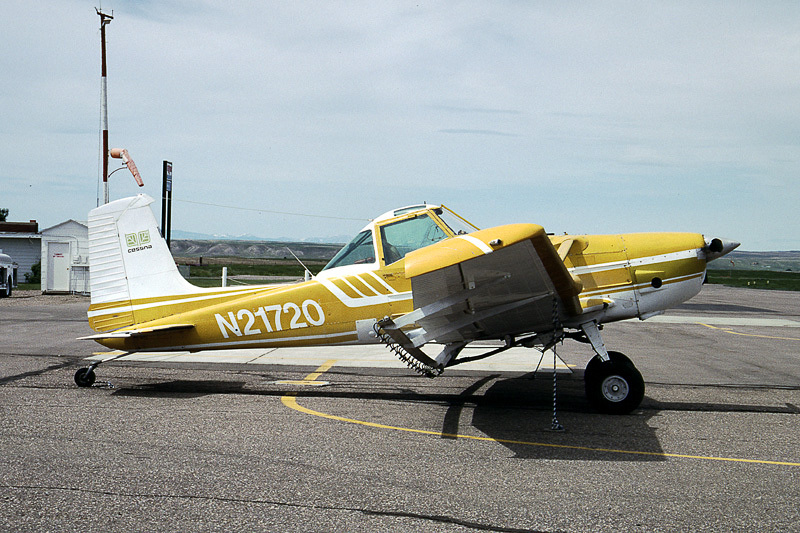 The 1972-built Cessna A188B Ag Truck N21720 was photographed at Shelby Airport in Montana, USA, on 20 June 1999.